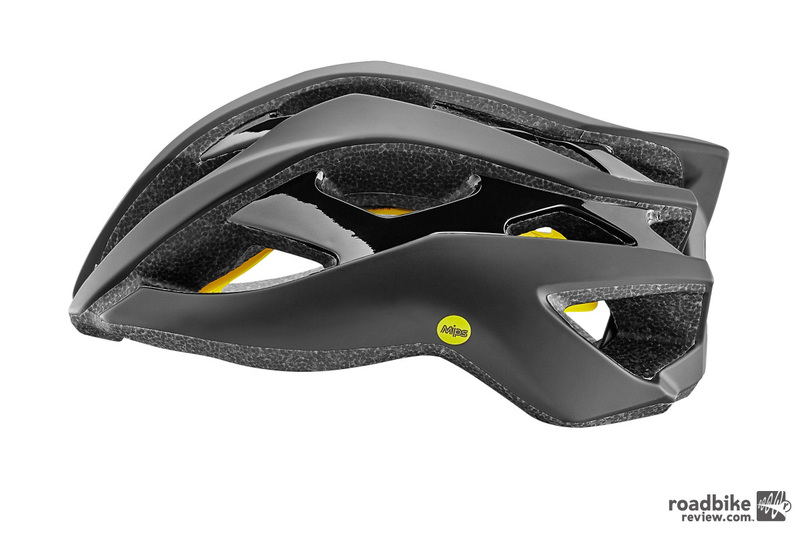 The combination of function and (lack of) financial impact make the Giant Rev MIPS a highly attractive cycling helmet option. 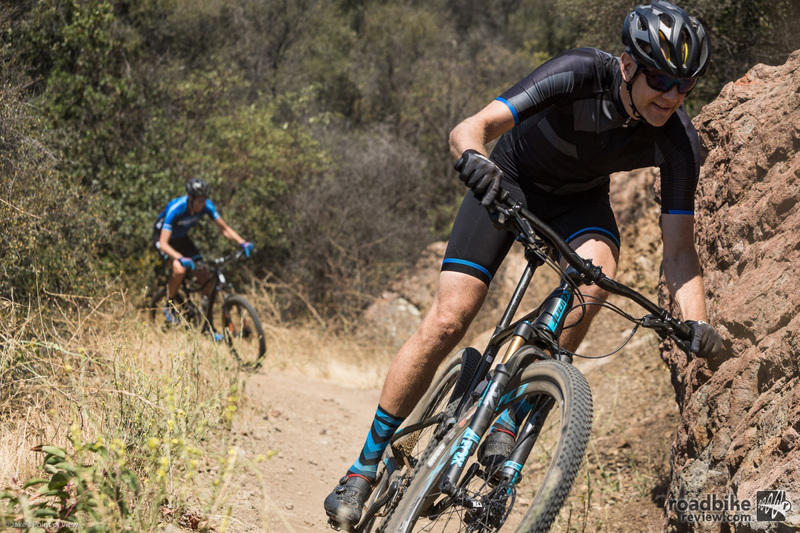 Though best known for offering great bang-for-buck road and mountain bikes, Giant has also been making a concerted push into the component and accessories market. From bars and stems, to wheels, kit, shoes and helmets, one of the world’s largest sellers of two wheeled goodies manufactures just about everything. And usually does it well. Oversized vents up front help pull air up and over your head. That expansive line-up includes three road cycling helmets (Pursuit, Rivet and Rev) that garnered a ton of TV time on the heads of Team Sunweb riders, who tore up the recently completed Tour de France. 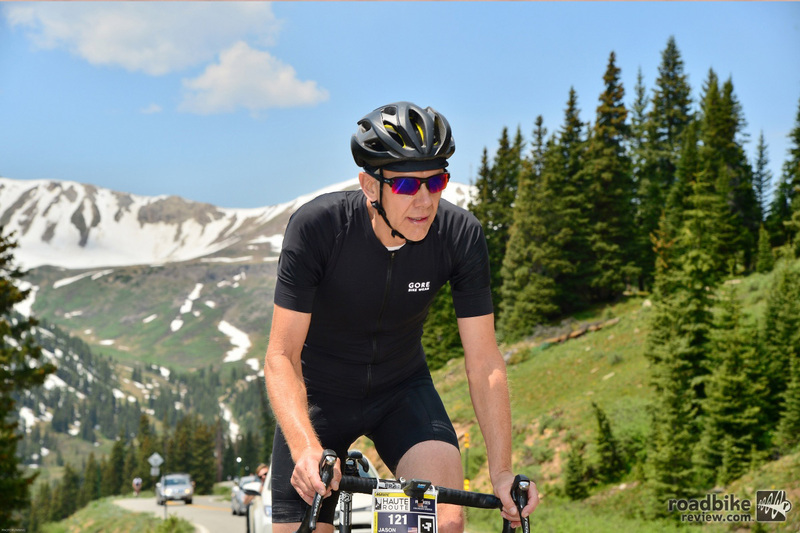 For hot days or stages with lots of climbing, the choice was usually the Rev, an all-around MIPS-equipped lid with 21 well placed vents. The traditional helmet look works just fine for us. 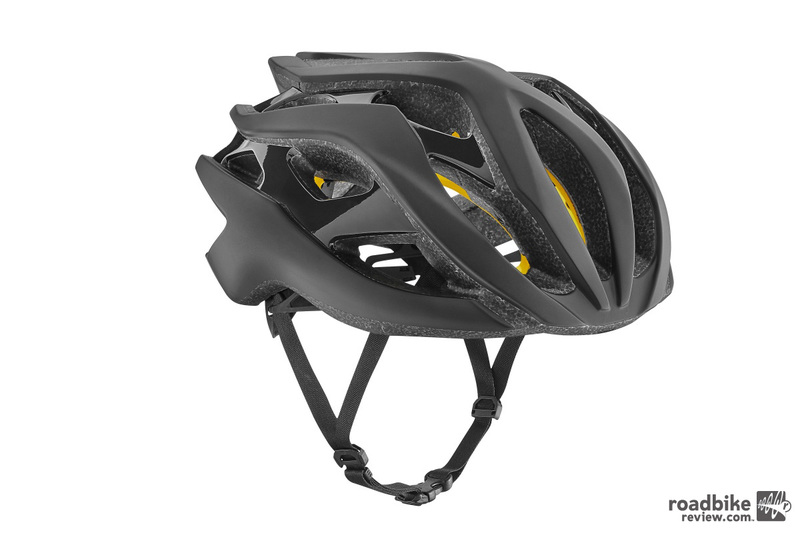 Top line features of the Rev include a cooling system that’s enhanced by a large center vent that pulls air through the helmet and over the rider’s head. 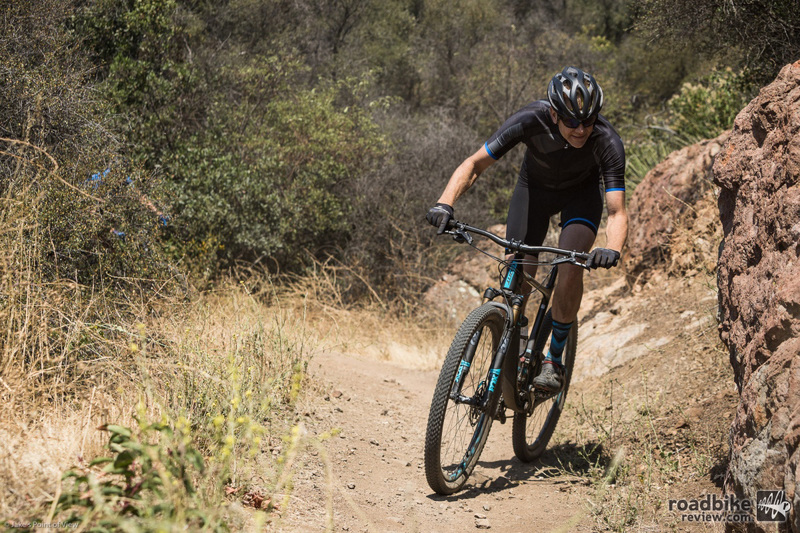 There’s also an internal reinforced skeleton, anti-microbial padding, lightweight chinstrap webbing, and Giant’s Cinch Pro retention system that has three height settings and an easy-to-use adjustment dial. 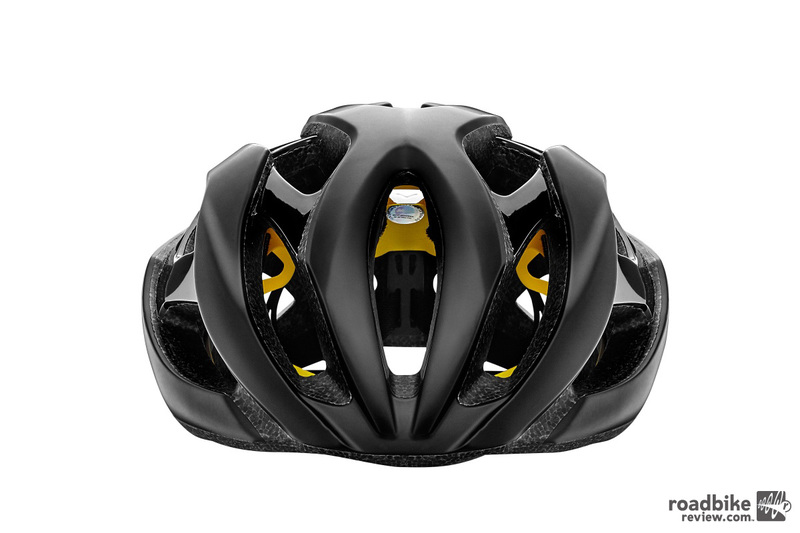 The MIPS layer is integrated into the helmet and helps reduce the impact of rotational forces in the instance of a crash. 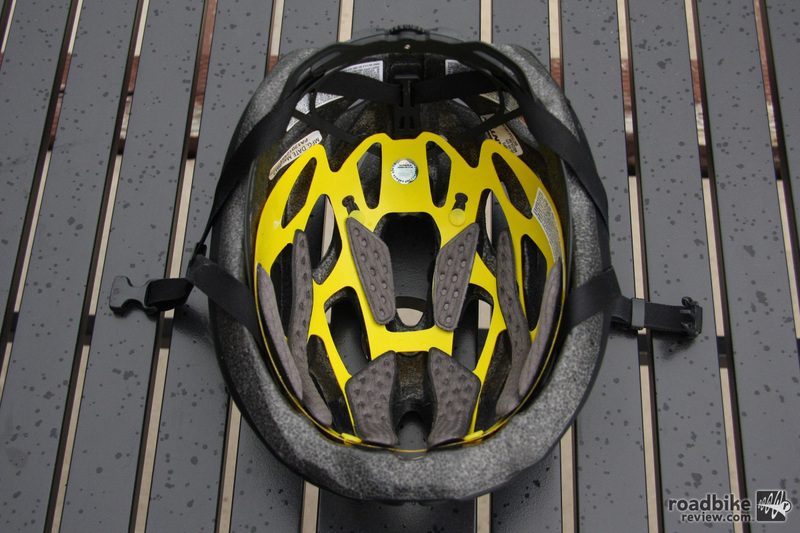 For those unfamiliar, the MIPS system separates a helmet’s shell and liner with a low friction layer. 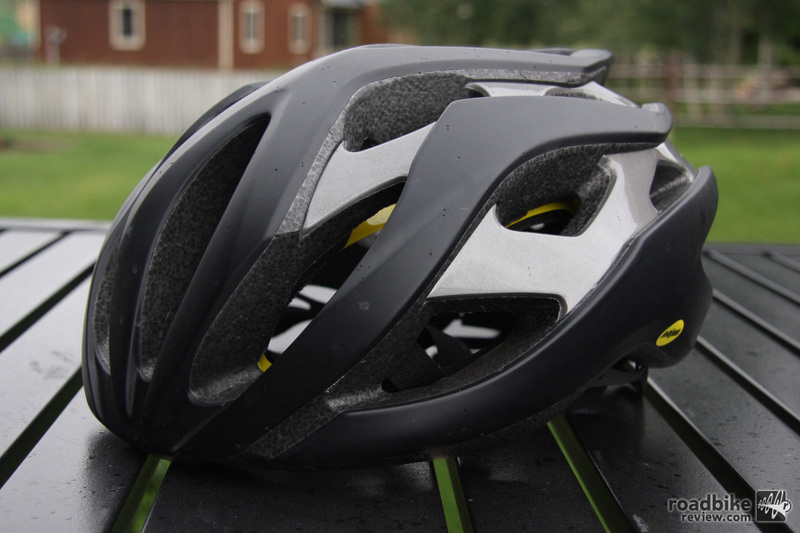 When a MIPS helmet is subjected to an angled impact, the low friction layer allows the helmet to slide relative to the head. This is designed to add protection against the rotational forces. The lines are aggressive but clean. The Giant Rev MIPS comes in three sizes: S (51-55cm), M (55-59cm), L (59-63cm). 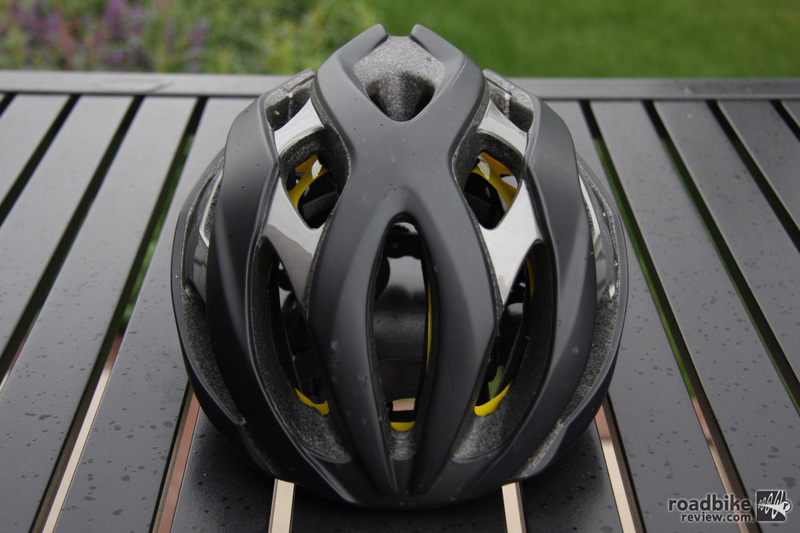 Color options include standard black, matte black, matte yellow, and white. Weight for our size medium tester was 286 grams. Price is $170 — or you can opt for a non-MIPS version for $20 less. 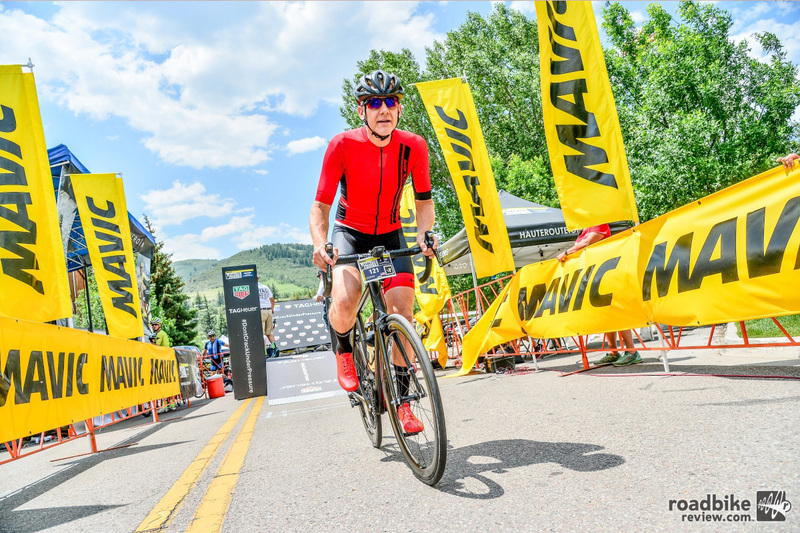 The Giant Rev MIPS was helmet of choice for the recent Haute Route Rockies multi-day gran fondo, which featured multiple long, hot days in the saddle. Anyone who pays attention to the bike helmet market knows that prices have gotten a little out of hand. It’s easy to spend in excess of $200 for what is essentially a mass of polystyrene foam wrapped in hard plastic. Throw in a thin layer of yellow plastic (aka MIPS) and you can add another $20 to that bottom line. There’s plenty of space for air to escape out the back. And that’s what makes the Giant Rev MIPS helmet such an attractive option. For the comparatively reasonable price of $170 you get a good looking, relatively light, well-vented brain protector — and don’t feel like you’re getting ripped off. 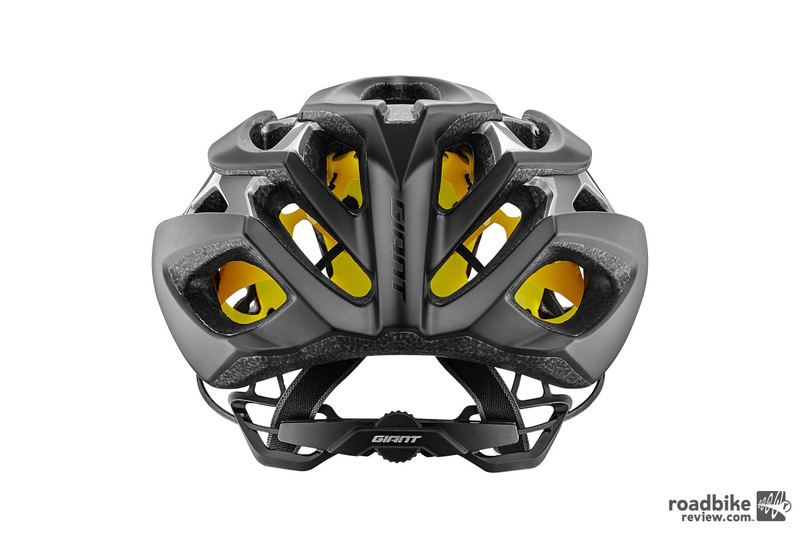 And before you write off the Rev as a lower tier product, remember that this is the same helmet sometimes worn by the likes of Warren Barguil and Michael Matthews, who captured the final overall climber’s and sprinter’s jerseys at the recently wrapped up Tour de France. Clearly, you pay a small weight penalty — and Giant makes no claims of any appreciable aero advantage. 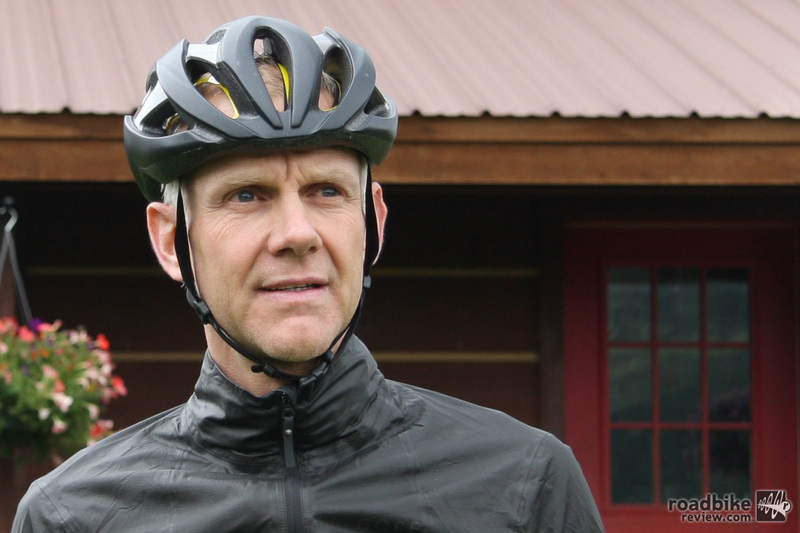 But honestly when was the last time you worried about helmet heft or wondered how many micro-watts your lid was costing you. 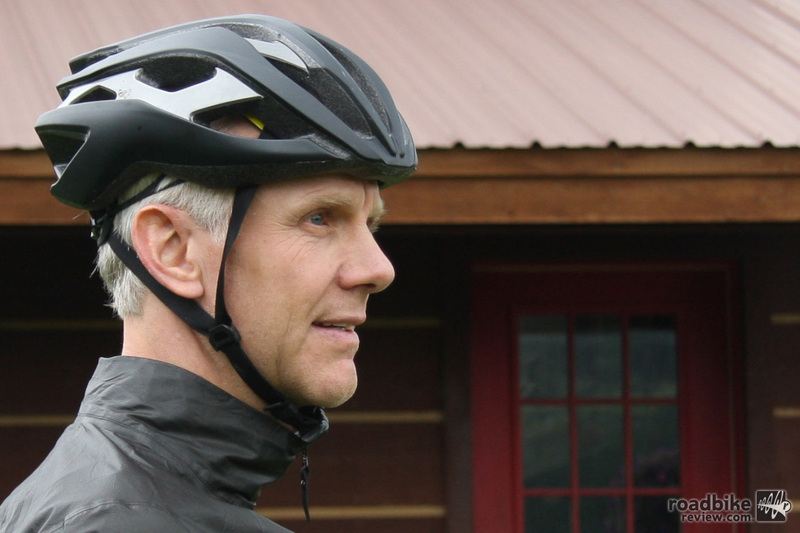 The reality is that if a helmet fits well, looks decent, keeps you cool, and helps keep you out of the ER, it’s doing its job. We’d prefer straps that laid flat and offered a little more ear room. The Rev hits those marks across the board. The fit is comfortable with ample interior padding and a wide range of adjustability thanks to s dial that’s easy to manipulate even when wearing gloves. Twist right to snug, left to loosen, and listen for the discernable click that makes micro-adjustments a snap. Cooling is as good as any helmet I’ve worn, the oversized fore vents and large interior channel funneling air out the large rear exhaust ports. And along with passing all the necessary safety certifications, it comes with MIPS for a little extra measure of protection. As for looks, beauty is always in the eye of the beholder, but I personally like its trim and aggressive profile. 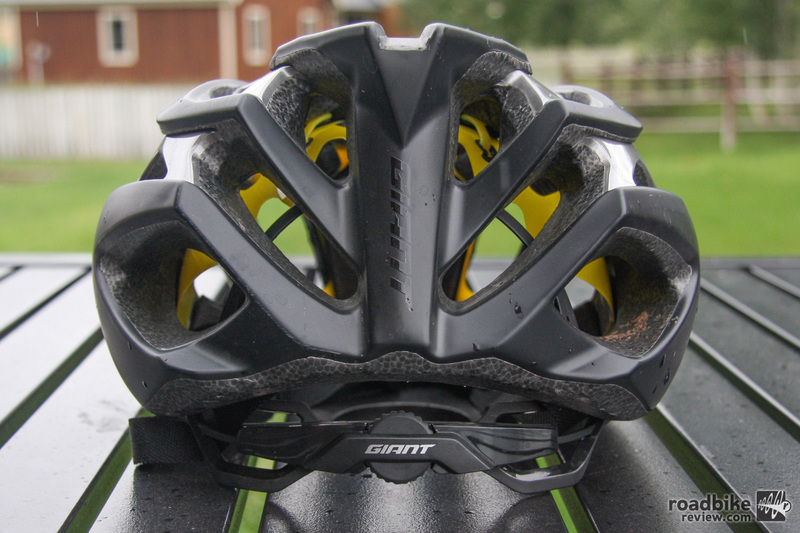 Giant’s Cinch Pro retention system has three height settings and an easy-to-use adjustment dial. 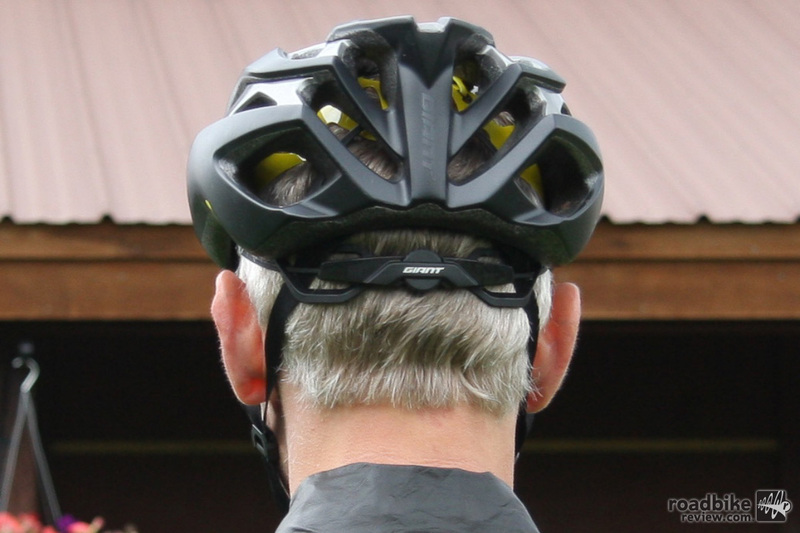 My only small gripes are that the straps don’t lay perfectly flat and the included MIPS layer makes for a slightly snug fit if you like to wear a cap under your helmet (I do). I was still able to squeeze into my normal size medium. But if you normally just barley fit into a certain size, you may have to size up if you’re a cap aficionado. Bottom line, the Rev MIPS carries forward Giant’s reputation for delivering quality product at a reasonable price and that’s why it gets an enthusiastic thumbs up from RoadBikeReview. The traditional helmet looks works just fine for us. Giant’s Cinch Pro retention system that has three height settings and an easy-to-use circumference adjusting dial. Price: $170. More Info at www.giant-bicycles.com.